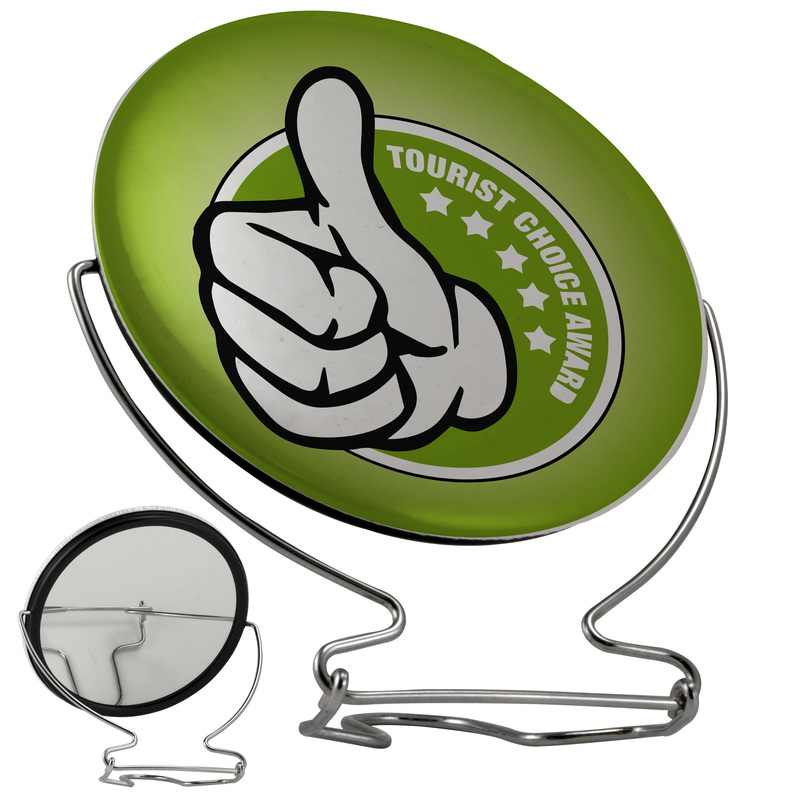 Personalized Swivel Mirror Custom Printed in Bulk or Blank. Promotional, Inexpensive. Budget Prices in the USA and Canada. Wholesale advertising Swivel Mirrors on sale. Lowest cost in North America. We also supply blank (not personalized) Swivel Mirrors: see Price Table below. Free Artwork Design. American Clients pay no taxes. The unit prices below include you full color custom imprint, or they are for blank Swivel Mirrors. PRODUCTION TIME: 3 working days after art approval; Blank (not personalized) Swivel Mirrors ship next day. lamourize yourself in this sleek mirror with a metal swivel stand. This rotating mirror includes custom full color imprinting on one side and a mirror on the opposite side. Measuring 3.8" in diameter this beauty aid makes the perfect companion for anyone and presents a unique promotional outlet. This product would be a perfect gift for salon clients, cosmetic stores and so much more!